Bag this beauty! 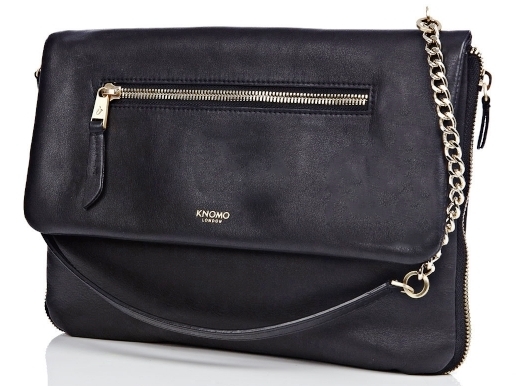 : Knomo's Elektronista Digital Clutch… | StyleAble Fashion For Everyone! Surely something this simple and chic can’t be multi-functional? There is a detachable strap making it work savvy and practical by day and ultra cool and sophisticated by night. Behind the exclusive Knomo design is Copenhagen-based technology blogger, radio broadcaster and TV host Christiane Vejlø. The idea struck when she failed to find a designer bag that could accommodate all her essential gadgets, keep them charged and look great. Ok, the price is a little steep at £249, but it’s constructed from lightly tumbled full grain leather and has a Grosgrain lining and bespoke gold-look hardware features. 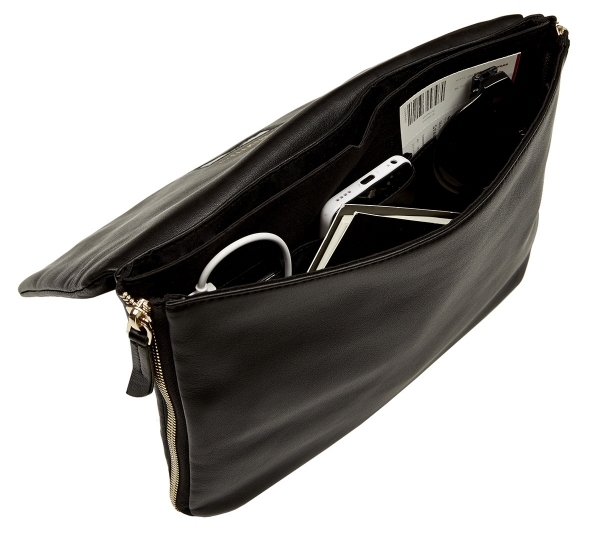 Not only is it very luxurious and high-end, it has a superbly stylish design and is super practical by day and night. So, although the price may be a little staggering, just remember this is no ordinary bag it has some pretty fabulous positives. 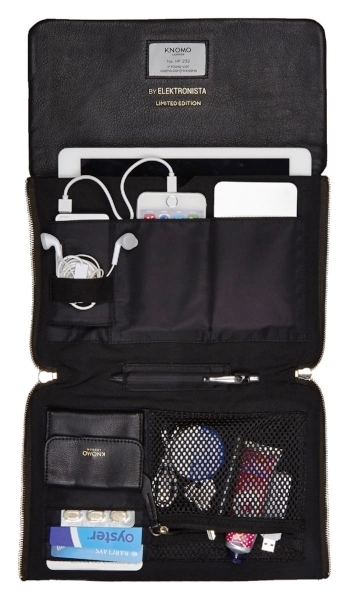 I am not one to gush, but this is definitely a product that I would recommend to anyone, especially for those (like me) who need a little organisation in their life – it’s a no brainer. …I better start putting some pennies in my ‘handbag fund’. After all, a bag like this could be seen as an investment, right?